We are establishing a sense of community with those of you who receive these transmissions. We have done this quite deliberately because we wanted you to familiarize yourselves with the energy of our star system. 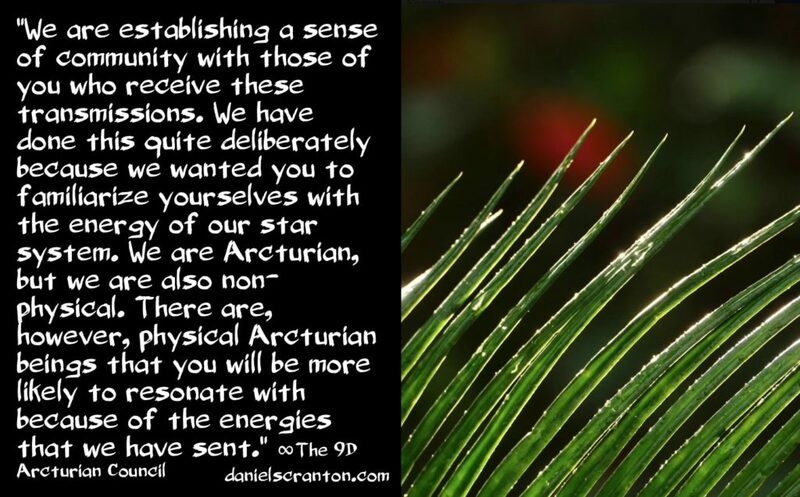 We are Arcturian, but we are also non-physical. There are, however, physical Arcturian beings that you will be more likely to resonate with because of the energies that we have sent in these transmissions. You see, nothing is ever just about one thing. We are not just sharing information with you. We are also preparing you for contact. Now, all of the other beings from the other star systems that are connecting with you all through the various channels that you have there on Earth are doing the same thing. And certainly those who channel faeries are readying you for more interactions with the fae. We are excited to witness the coming together of humanity and the Arcturian beings that you will be meeting in the flesh. Now, of course, some have already established connections with physical Arcturian beings. We are not here to suggest that this will be the first ever human/Arcturian encounter, but what we are preparing you for is full and open contact with the fourth and fifth dimensional beings who are from our little star system. Now, when you consider the magnitude of what we are saying here, you can of course come to the conclusion that even when you are just listening to or reading one of these transmissions, you are doing something. You are not passive in your receiving. You are very actively raising your vibrations to meet us. That is the only way that these transmissions could possibly hit home. And we want to reassure you that you are doing a wonderful job of receiving the energies that are woven into these transmissions, and the coming together of the human race and the Arcturian race is something that is coming. And it is coming to planet Earth. You are undoubtedly as excited as we are about this.